Specify Condition on Quote. Bulk Purchase Only. Single coins or less than 20 can be only be purchased in-store ONLY. Available Bulk Conditions: AG (Almost Good), G (Good), VG (Very Good), XF (Extra Fine), AU (Almost Uncirculated), BU (Brilliant-Uncirculated). We Only quote multiple conditions on orders of 100 or more coins. 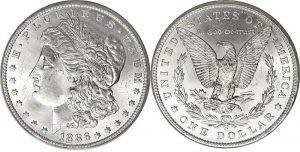 Rare Dates or High Grade Coins are also available. Just specify the date and grade. 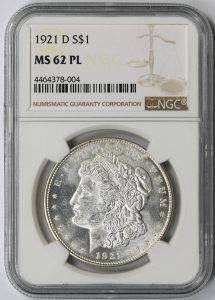 ONLY PCGS or NGC Available! 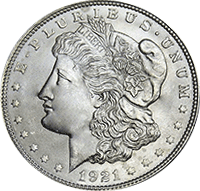 Available Bulk Conditions: VG (Very Good), AU (Almost Uncirculated), BU (Brilliant-Uncirculated). We Only quote multiple conditions on orders of 100 or more coins. GRADED PEACE DOLLARS ALSO AVAILABLE! 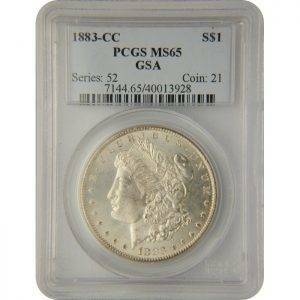 MS63-66 PCGS or NGC. Minimum order of 5 coins for common dates. **LOW GRADE DOLLARS: MIXED Morgan & Peace- Minimum Order of 40 Coins.